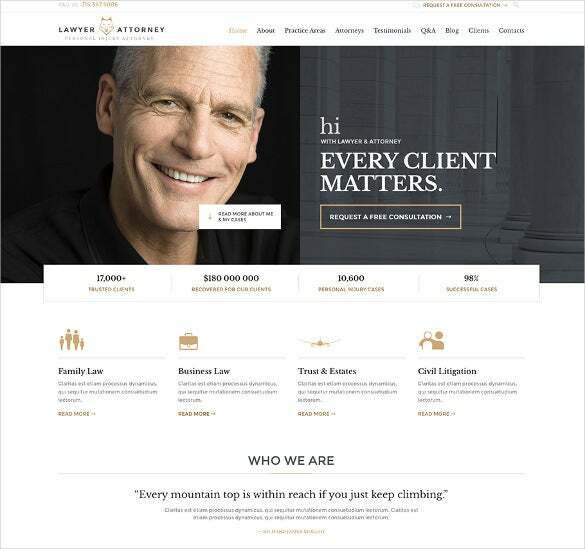 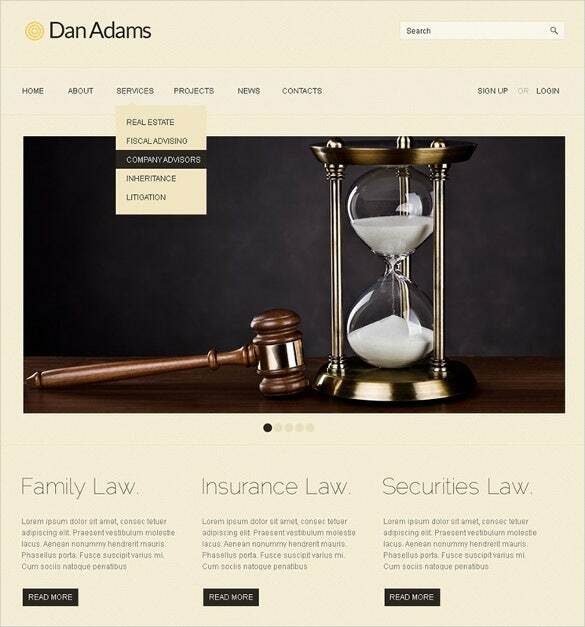 Lawyers and law firms can now use WordPress lawyer themes for the most aesthetically pleasing and functionally rich websites. 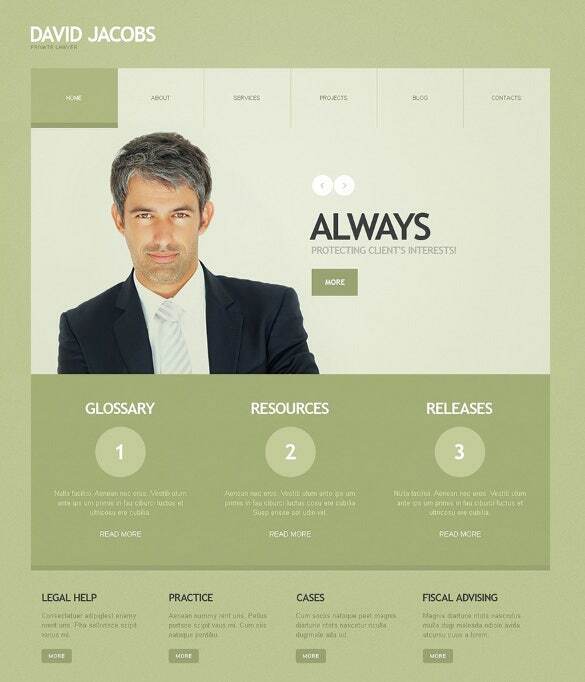 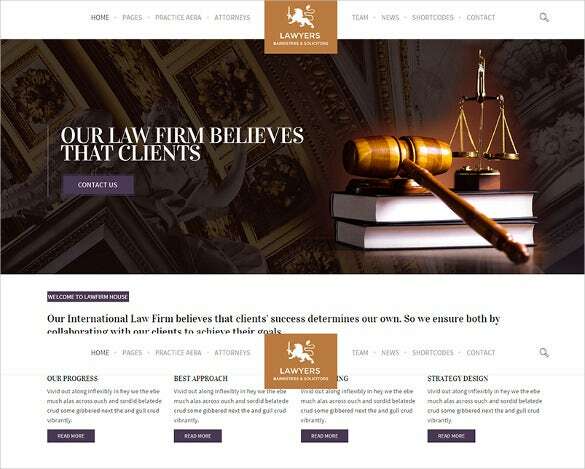 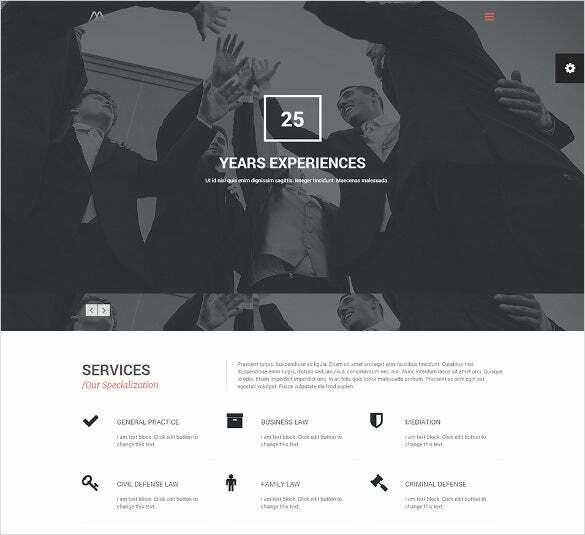 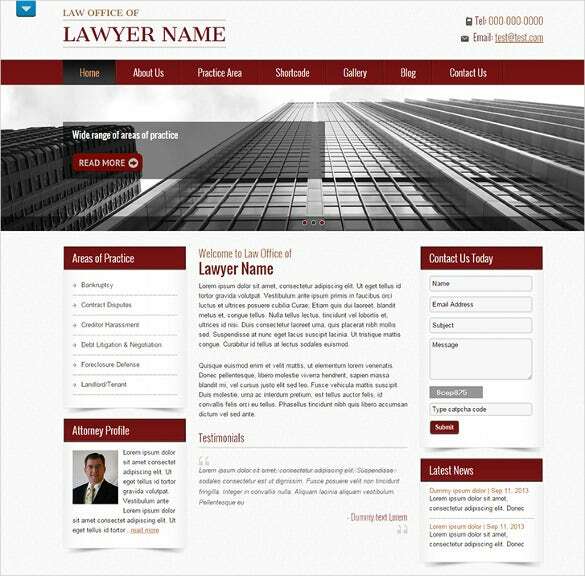 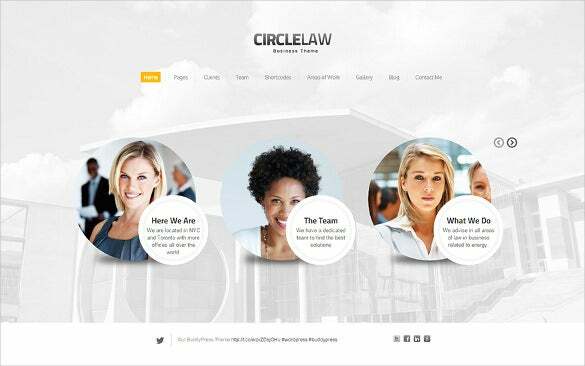 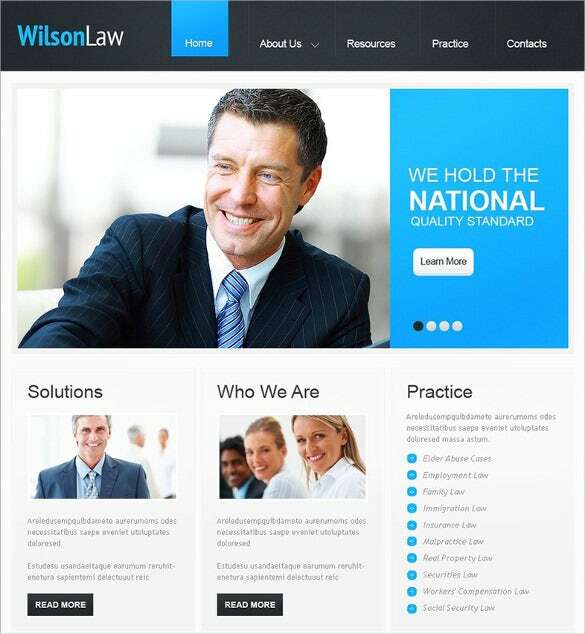 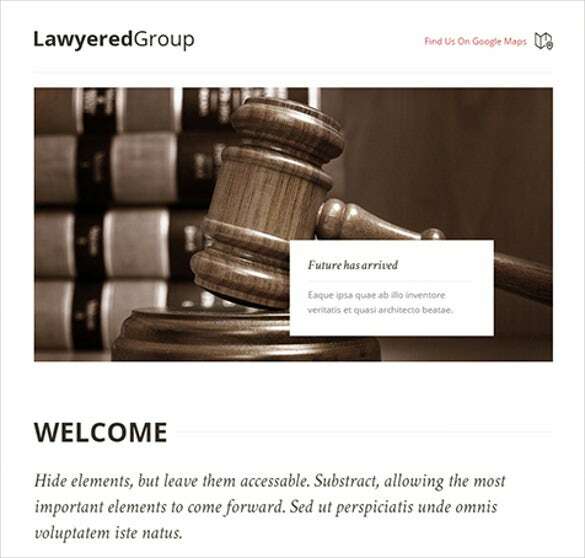 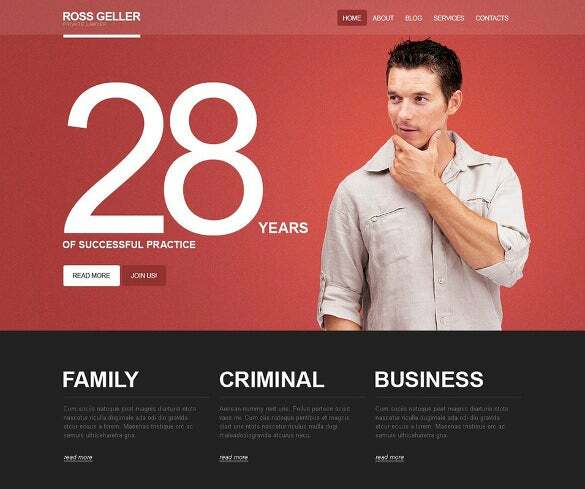 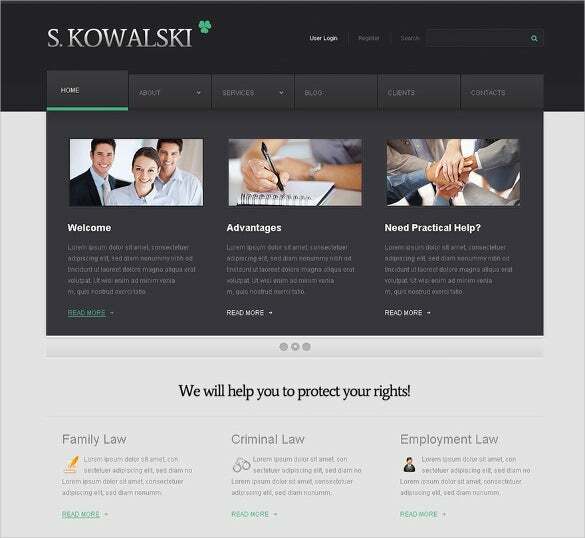 Using these website themes you can segregate the lawyers in the firm on basis of experience, types of cases handled, departments and even pay scale to let users choose easily between the lawyers. 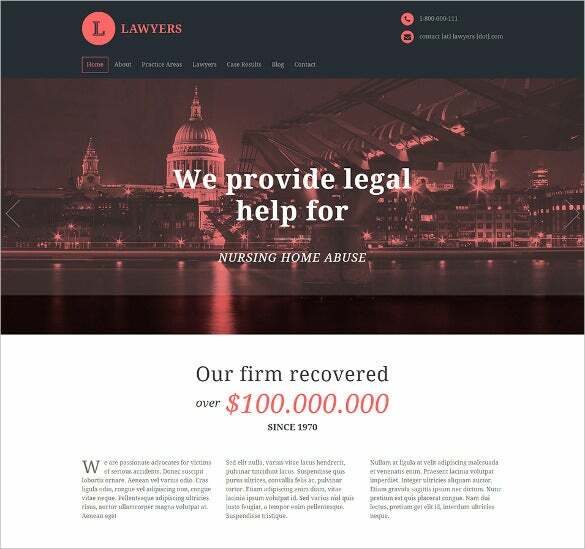 You can also insert a section where users can share details of their lawsuit and get valuable feedback of assistance online and then proceed towards selecting the right lawyer. 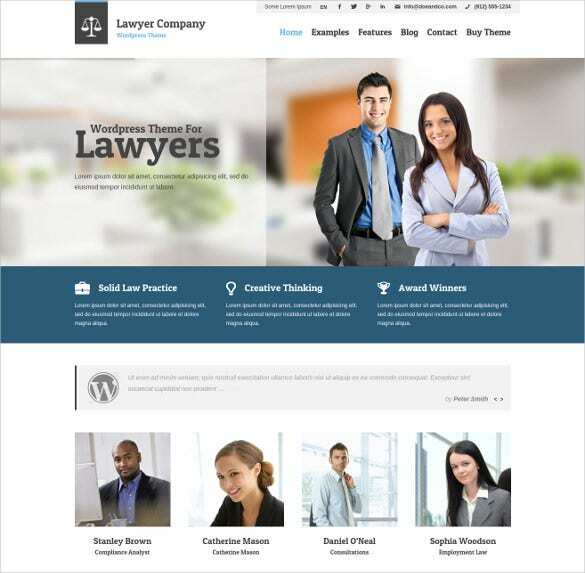 Integration of the payment gateways allows users to pay for the online consultancy directly or pay the firm directly using the online money instead of paying the lawyers individually.You may check Consultants WordPress Themes. 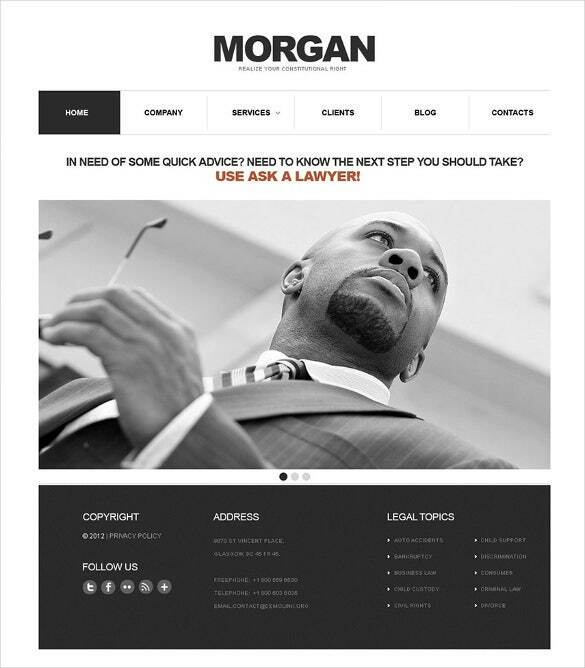 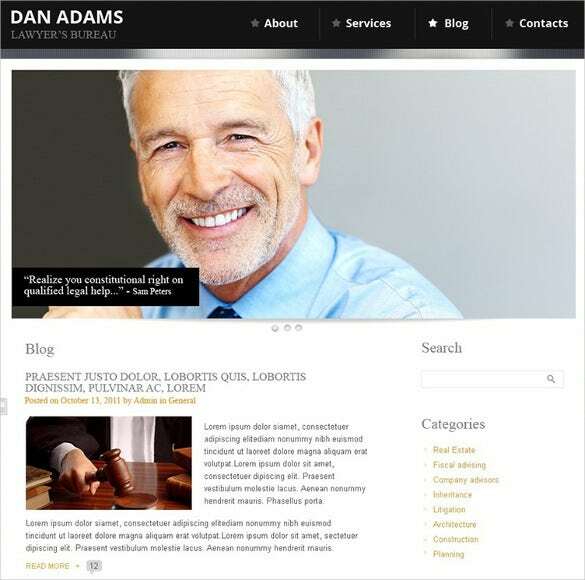 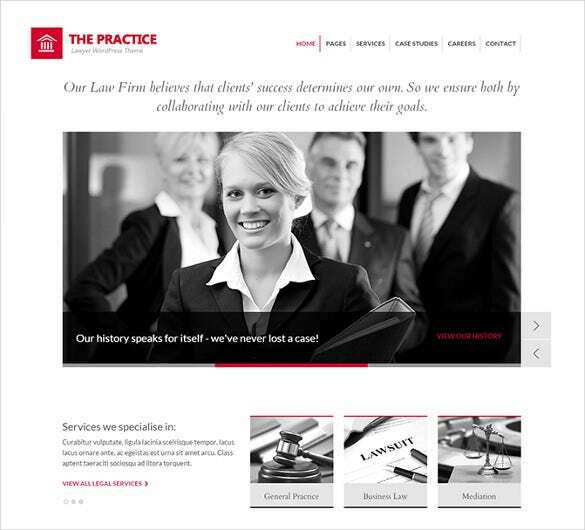 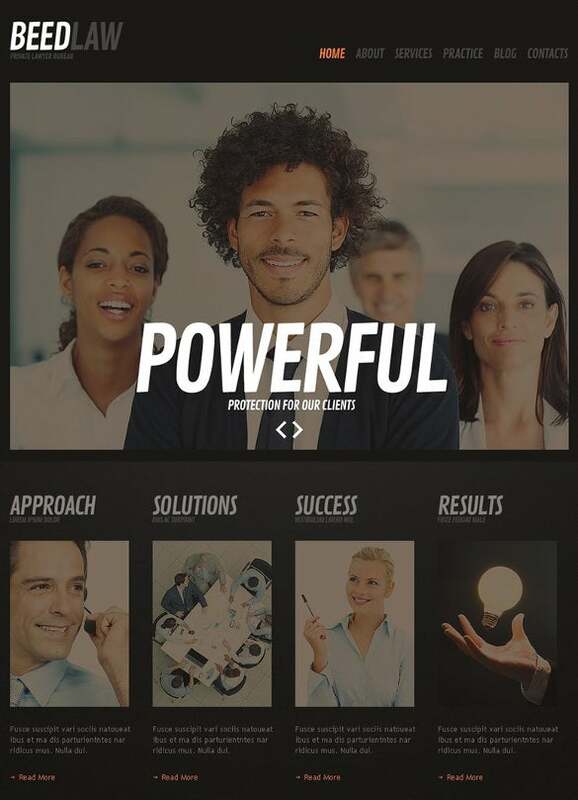 Using the wordpress lawyer themes you can facilitate quick and effective searches. 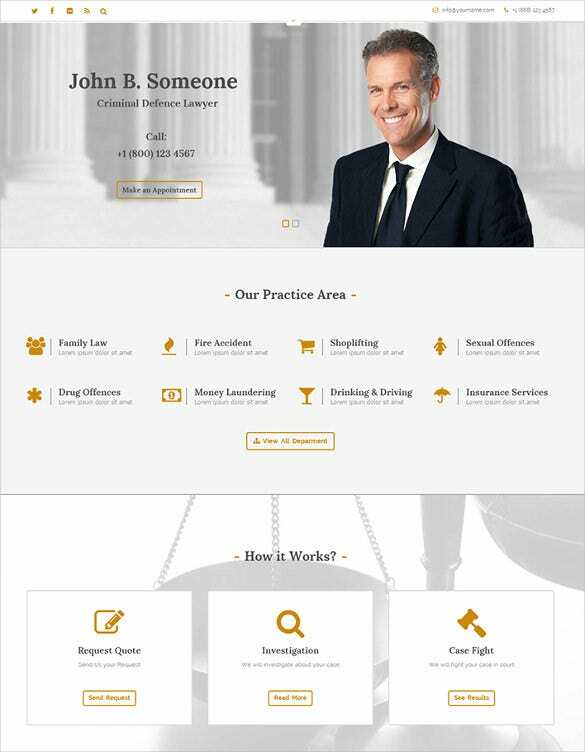 With this, your users can find all the relevant details pertaining to the lawyers and the attorneys and then select the best person for your case.The theme lets you highlight the best cases, top features and specialties of the lawyer which you are viewing and lets the user make a proper decision based on his merits. 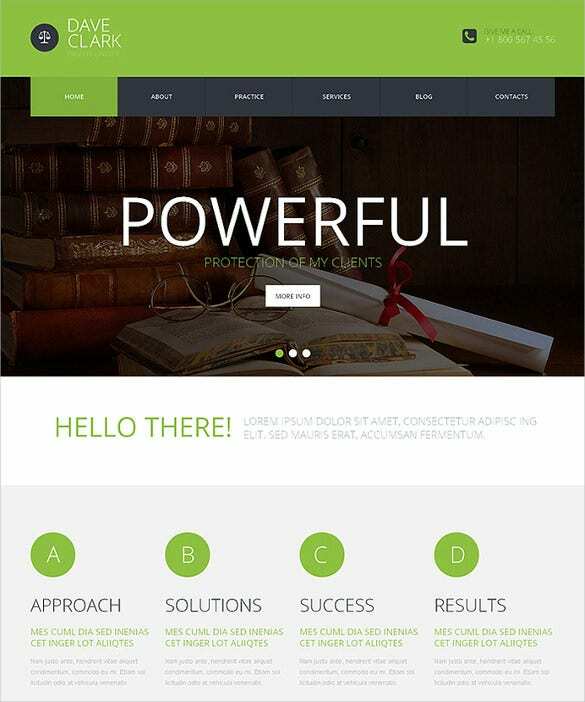 You can use the wordpress based themes to manage and control all your client appointments and also manage the schedule of the hearings and other events. 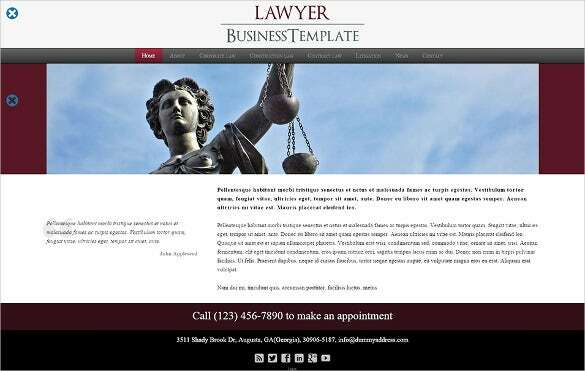 You can reschedule appointments, meetings and client discussions and set reminders for the same using the wordpress theme.Not only this, but with integrated payments and marketing tools such as newsletters, you can make your legal services website a real success.You may like Web Design WordPress Themes.